Introducing the Greenfield™ MV, the largest model of Lopi’s new moderately priced Standing Pilot Millivolt Cast Iron Gas Stove Series! 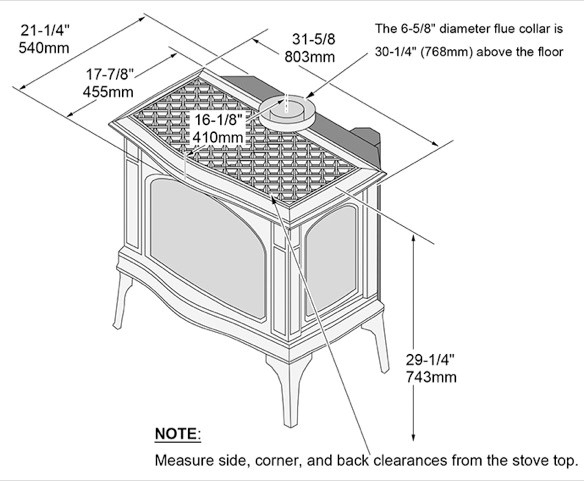 The Greenfield™ MV features an elegant design with exquisite quality full cast iron construction and a large high-temperature ceramic glass viewing area. 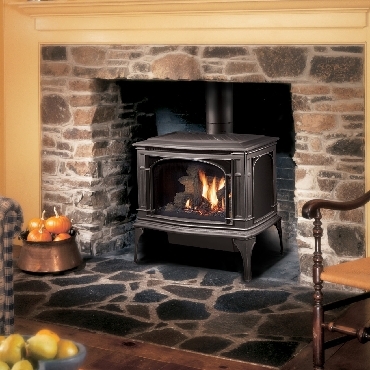 This stove provides comforting radiant heat plus Natural Convection, to deliver optimum warmth throughout your home. With the Greenfield™ MV, you get MORE HEAT FOR LESS MONEY; that’s more features and benefits than any other moderately priced large gas stove available, making it both a beautiful and economical way to heat your home! Heating Capacity * Up to 1,750 sq. ft.
* Heating Capacity can be affected by negative pressure in the home and by prevailing atmospheric conditions. Contact local building or fire officials about restrictions and installation requirements in your area.